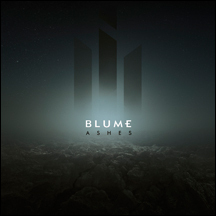 Blume returns with Ashes, the follow-up to their 2013, critically acclaimed, album Autumn Ruins. More upbeat than its predecessor, Ashes combines flowing melodies, layers of electronics, and smooth vocals to create a sound that is a mix of modern synthpop, new wave and electronic rock. From the haunting intro on Iron Age, to the catchy hook of Fade Away, and the guitars on Ajax, Blume continues to elevated their sound and explore new boundaries. The first single, Blackening was released digitally in October 2017 and quickly climbed to the top of the alternative club charts, including placement on several year-end Top 10s. With the release of Ashes, Blume will definitely take their place among the leaders of the modern synthpop movement.